There are many tree surgeons serving the Kent area, but they don’t all offer the same standards of professionalism and expertise. At Tudor Rose Tree Care, we like to think we stand out from the crowd. However, if you’re not convinced, here are some reasons to choose us. We pride ourselves on our many satisfied customers. In fact, a large majority of our custom is repeat business from previous customers who are very satisfied with the quality of our work and the level of our service. We’re happy to provide testimonials from happy customers, if you would like to see these. It’s absolutely vital to be sure that any tree surgery is carried out by an appropriately qualified and experienced tree surgeon. 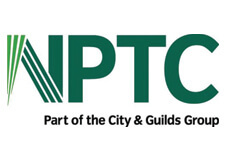 At Tudor Rose Tree Care, all our staff are fully NPTC qualified tree surgeons, who also receive full health and safety accreditation. 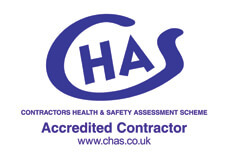 This can give you complete peace of mind that we know what we’re doing, we understand the inherent risks of our work, and we take every precaution to ensure the safety of our staff and those around us. At Tudor Rose Tree Care, we know that you don’t just want the highest quality of work – you also want a prompt, reliable service staffed by people who deliver on their promises. We pride ourselves in delivering this complete customer service experience. We provide services to both home owners and managers of commercial properties such as care homes, schools and churches. This means there is no job too big or too small for Tudor Rose Tree Care. Whether you just want a hedge trimmed, or you require larger-scale works to be carried out on trees in a large area, we have the expertise and the resources to help. One of the main benefits of keeping on top of the maintenance of your trees is that it can save you money in the long run. It’s far better to keep trees healthy and well maintained than it is to neglect them and end up with a large bill for damage or injury. At Tudor Rose Tree Care, our prices are competitive but realistic. We’ll always advise you on the potential risks and costs you may incur if you don’t have maintenance and remedial works carried out, allowing you to understand the full benefits of our pricing. If there’s anything we haven’t told you that you need to know before making a decision, please don’t hesitate to get in touch with us. Our friendly, professional team would be delighted to speak to you. At Tudor Rose Tree Care we provide our domestic and commercial customers with a wide range of tree care services. All these services are undertaken to the highest professional standards with our trademark of excellence stamped on each project.